Revolutionary seat pan mechanism allows the backrest to massage user's lower back. Multiple layers of foam facilitate better upper body weight support and alleviates pressure under the legs. Triple lever adjustment allows user to operate in comfort through maximum adjustability. Full tilting seat and back promote a better and healthier posture. 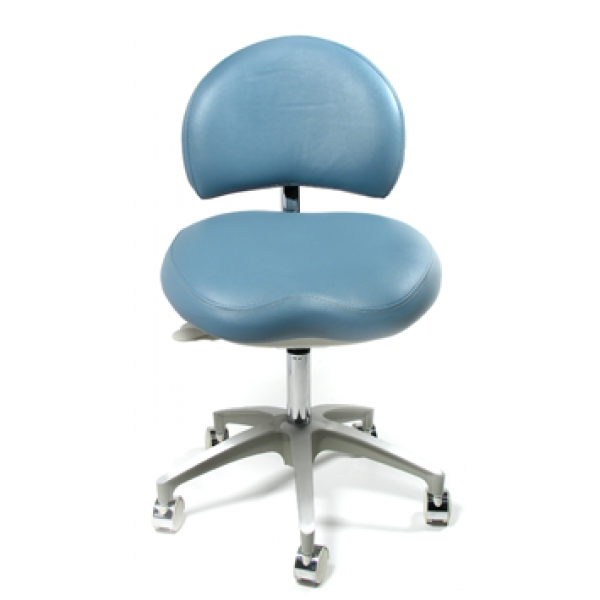 With the control lever in the "Free-Float" position, the seat and the backrest will follow you as you lean forward and back on the stool. ABS shrouds provide easy cleaning surfaces. Deep seat is ideal for tall/plus size users. Seat Measurements: Width 19" Depth 15.5"